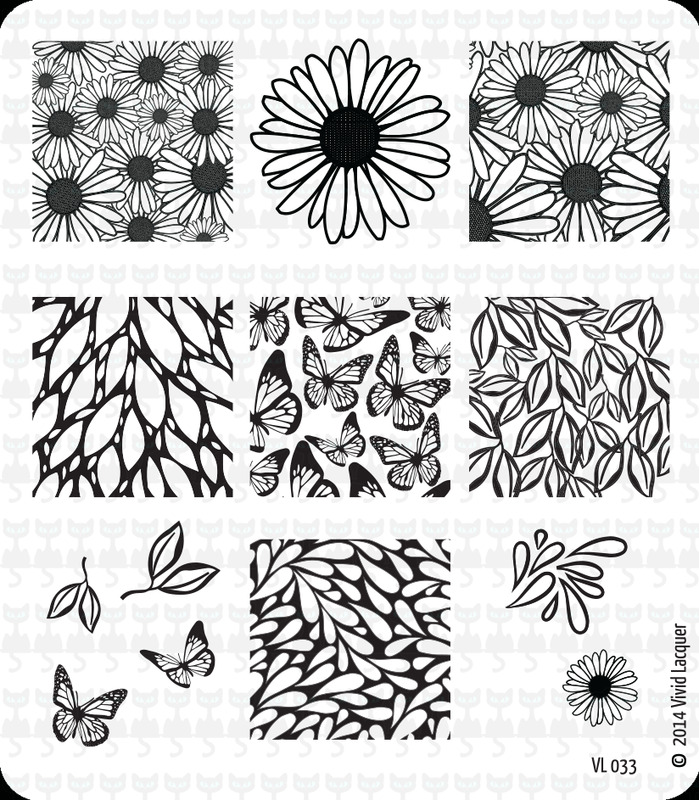 Lacquer Lockdown: Hot Off The Stamping Press: New Vivid Lacquer Nail Art Stamping Plates! 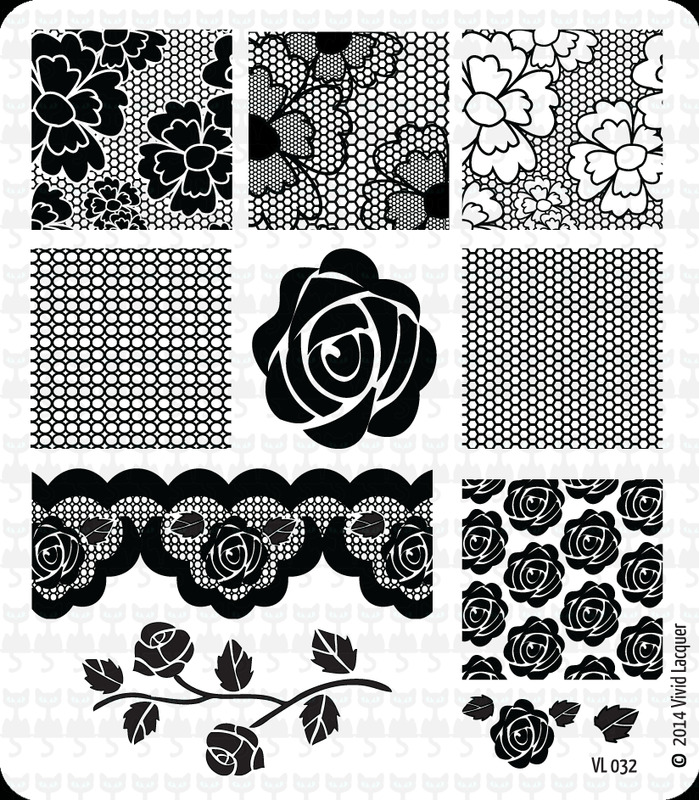 Hot Off The Stamping Press: New Vivid Lacquer Nail Art Stamping Plates! This plate is hitting the theme of the times right on stride. Everyone these days is all about the lace of course you know from the last release we got our first taste of Anni's take on the trend. This is part duex. I am also seeing a lot of roses rolling out these days. If you have the Winstonia Store Wedding Bliss plate and a few others you will following the trend. Love the floral lace to bits! This will be a great plate for leadlighting particularly the butterflies! I have one similar image of the butterflies from the Cici & Sisi plates but it isn't nearly as detailed. 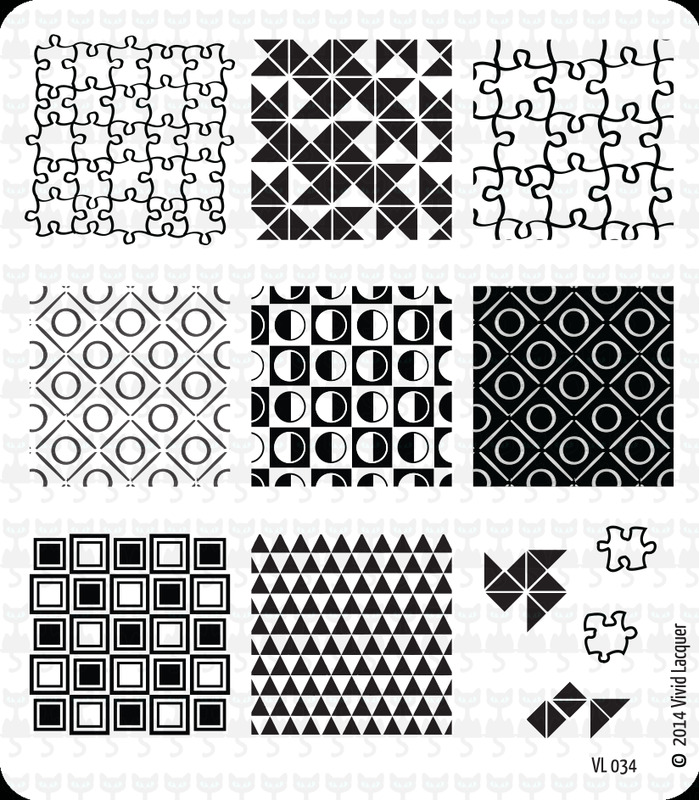 The abstract droplets in the center bottom row are also similar to the Messy Mansion one's from MM29, but no less beautiful for their similarity. For me personally this one would be fairly basic. A great plate for decaling and to be sure their is always room for general designs which can be embellished in my collection. Christmas in July! I love it. I thought about doing a whole month of nail art around this concept this year but I've had extra time this month - boo! It's a shame because I own so many Christmas themed plates. 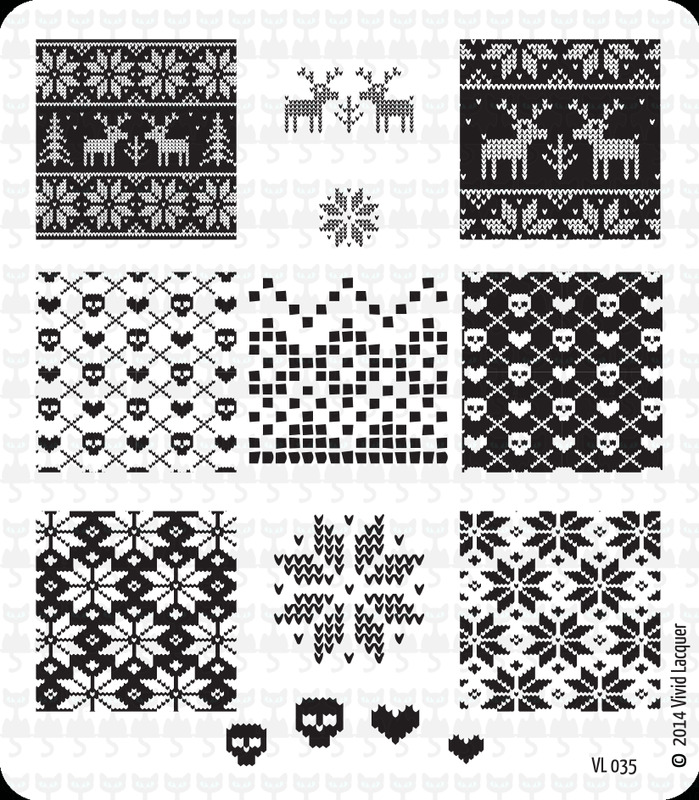 Because I love intarsia knitting patterns this one is so right up my alley! Ah the battle between the wallet and the heart! Haha. I love that last Christmas plate! I still don't own any of her plates yet, and I've been really wanting to buy some. I know I could go to the website to find out.. but do you know the dimensions of the individual designs? so true, it's plates galore out there! I got a discount code for the new winstonia's yesterday and noticed they released YET another one called "hunting party" or something like that, the theme is hunting duhhh, it has some animal prints, fish, scales (that is the one that caught my eyes) and other hunting motifs. pretty good for $4.95 + discount code and free shipping. Maybe it's because we have such big hearts! ;) Thanks!